XL Video was again highly active at the ever-vibrant Edinburgh Festival Fringe this year, reflecting the increase in productions and imaginative ways to integrate video into the plethora of inventive new performances. This year video and projection systems were again supplied to The Pleasance, and for the first time to C venues. For C venues, one of Edinburgh’s leading independent venue producers, curating and hosting the Fringe’s largest theatre-based programme, equipment was deployed in eight venues across three sites – C venues’ Chambers Street base, C nova and C Aquila. 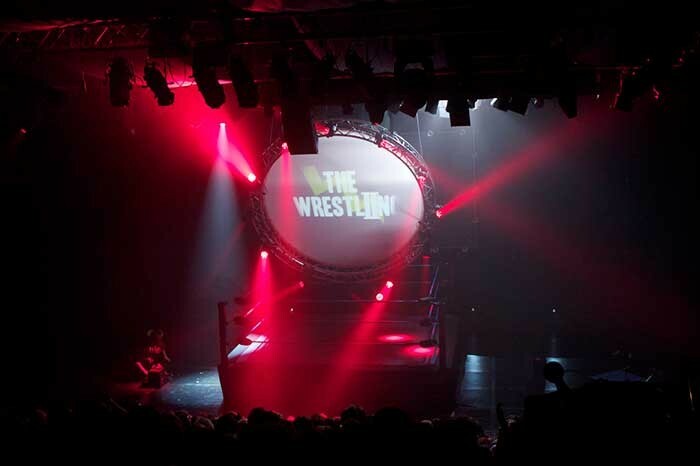 For The Pleasance, 34 shows featured video elements in 15 different performance spaces. All of this was project managed for XL Video by Ed Cooper and overseen on site by three hard-working technicians who kept pace with the lively mix of drama, dance, physical theatre, musicals, cabaret, circus and visual and performance art. The XL Edinburgh Fringe team – Colin Mudd, Marcus Wareham and Owen Evans – delivered the company’s usual high levels of technical support working closely with C venues and Pleasance Theatre Group production managers Richard Williamson and Matt Britten, together with all their local venue crews. The C venues supply included four Panasonic PT-DZ6710U 6K projectors, each of which stayed installed in their respective venues for the four week Festival plus three Sanyo LCD projectors installed into C Aquila. These came with all necessary DVI and VGA signal distribution, cabling and infrastructure needed to support the shows in both venues. Panasonic 42 inch plasma screens were installed in the foyers of two of the C venues sites relaying showreels of the various productions along with upcoming performance information. XL enjoyed their ongoing partnership with The Pleasance once again at the 2013 Festival, where XL’s work – either through individual productions or via projections in some of the key public areas – was seen by the vast majority of the 420,000 people visiting the Pleasance during the event. The supply involved three Panasonic PT-DZ6710U 6K, three Panasonic PT-DS100X 10K and seven Sanyo LCD projectors, together with three Catalyst media server control platforms and two QLab servers running the latest Version 3 software. 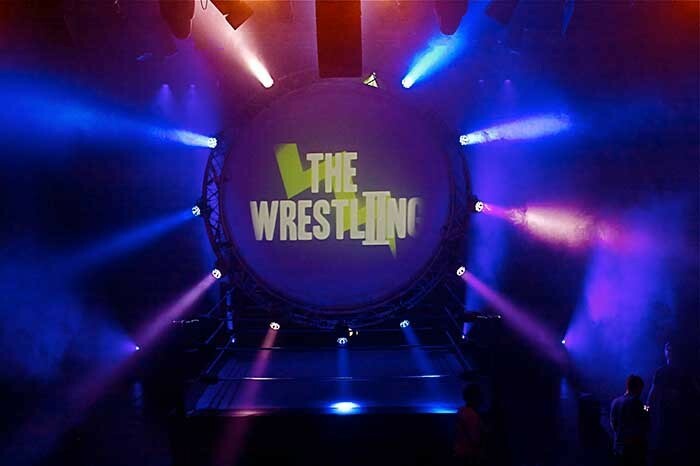 The QLab system (main and backup) was used on ‘The Wrestling’, a one-off show staged in the Grand, which saw a splattering of stand-up comedians battling one another in the ring! A four metre diameter circular screen was fed with rear-projected images via a Panasonic DS100XE, and then flown out to reveal a rectangular screen behind complete with front projection. An array of ancillary kit supplied included Datapath X4 controllers, Folsom HD Image Pro scalers and assorted MacBook Pro laptops. Two Panasonic DZ1260 projectors were utilised for installation projections onto the Queen Dome wall in the Pleasance Dome, showing animations by Theo Davies and various advertisements and trailers. More of Davies’ work was displayed on the Pleasance’ P2 wall, beamed via a Christie 20K Roadster projector. The Catalyst systems were also used for these two installations – with a third for backup. In addition to ‘sponsoring’ C venues and the Pleasance with projection and video, XL also hired out an eclectic mix of systems to existing clients performing in different areas of the Fringe, which amounted to another 13 venues being supplied with projection and accessories! These included The National Theatre of Scotland (NTS), David Baddiel and Chris Ramsey for Avalon productions, Bound and Gagged and Mick Perrin Worldwide. Ed Cooper concludes: "As always, we were proud to be supporting Edinburgh Festival Fringe which continues to be a melting pot for some of the best emerging technical and creative talents from around the world."